Repatriation will increasingly become a necessity for many, and the process can be difficult, complicated and emotional. This guide explains the challenges facing Brits living abroad and suggests how to take some of the stress out of liquidating overseas assets and repatriating the funds. At Caxton, we make it easier, cheaper and safer for our customers to send or spend their money abroad. We’ve been leading the international payments market for over fifteen years now – and we’re not done yet! 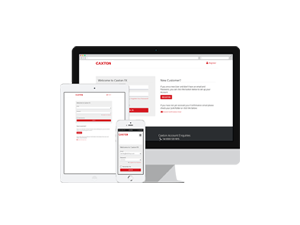 Caxton is a British financial technology company that has become an entrepreneurial success story. Last year we successfully processed 7.3 million transactions, and have transferred more than €1 for every man, woman and child on this planet. The Caxton range of products and services ensures you can make an informed decision on your currency trades. *Same day payments available on bookings taken over the phone 1pm on the day of the trade (Monday-Friday only). For those making large payments, our clients benefit from a personalised currency service. This means you will be provided with a dedicated account manager, offering you a personal rate, access to an independent currency analyst as part of the free service. Unbeatable on larger International Payments. Guaranteed.